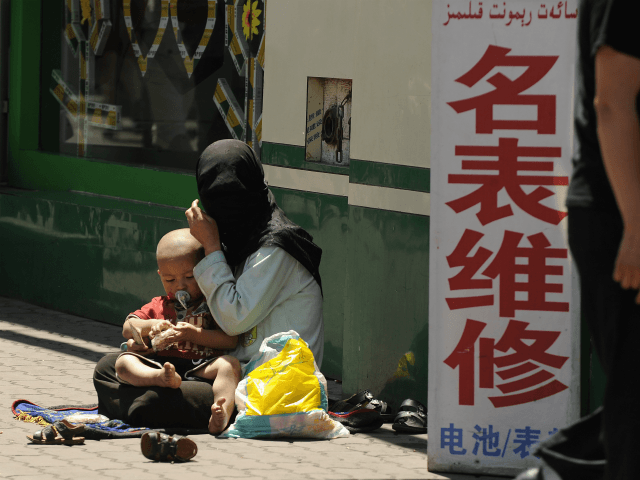 Gordon Chang, columnist and author of The Coming Collapse of China, joined SiriusXM host Alex Marlow on Monday’s edition of Breitbart News Daily to talk about China’s systematic persecution of its Uighur Muslim community. “China has detained probably around a million Uighurs, who are the Muslims in northwestern China. They’re being detained not because of crimes they’ve committed, but because they are Muslims,” Chang explained. “Beijing has an anti-religion policy generally, but it’s been applied the harshest against the Tibetans in southwest China and the Uighurs in northwest China,” he observed. “The world has, up till now, not known very much about it, and therefore has not paid much attention. Now we do know something about it, and we do need to impose costs on Chinese leaders – high leaders and lower officials who have been responsible for this. I don’t think that we should ever allow a Chinese leader to have a state visit to the U.S. while these internments continue,” he recommended. Marlow noted that people who normally express great concern for the persecution of ethnic and religious minorities have been strangely quiet about the plight of the Uighurs. “This shows that the United States has a human rights focus, despite what many critics say. I think all Americans need to start to pay attention and understand: this is the way China treats its own people. How do you think they’re going to treat us?” he warned. “The important thing here is that Xi Jinping, the Chinese ruler, has been dropping hints that he is the only legitimate ruler in the world. This is a question of sovereignty. When President Trump first started talking about sovereignty, I thought it was off-key, but now I’m starting to understand that because of China’s attack on sovereignty, our sovereignty, we need to talk about these issues publicly and all the time,” said Chang.